Manifestation of humanism: experts comment on pretrial restraint law | Russian Legal Information Agency (RAPSI). 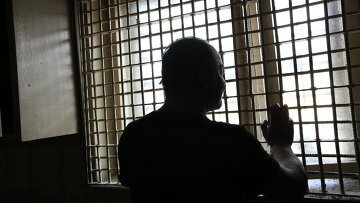 MOSCOW, July 5 (RAPSI, Diana Gutsul, Lyudmila Klenko) – The introduction of a fast-track pretrial restraint review for severely ill suspects should ease overcrowding in pre-trial detention centers, experts told RAPSI on Wednesday. In early July, President Vladimir Putin signed a law stipulating that decisions on replacement of pretrial custody with another restraint should be taken by inquiry officers, investigators, or courts in charge of respective cases not later than within three days after receiving copies of medical assessment reports issued in custodial facilities, as a document published on the official website of judicial acts reads. Sergey Petryakov, the head of a rights group “Zona prava” (Law Zone), believes that the deadline set up by the President is of positive significance for many suspects and defendants held in custody. According to him, however, everything will depend on the practices pursued by hands-on implementers of the new regulation. Petryakov presumes that some investigators may decline changes of restraints even with regard to severely ill persons in the best interests of solving a case, if such persons are expected to flee, hinder investigation, or interfere with witnesses and other persons involved in the case. Nevertheless, the expert believes, even in such circumstances a person should be guaranteed to get proper medical treatment. Besides, Petryakov says, it is to be remembered that there is a wide range of other restraints such as a house arrest, bail, or travel restrictions. However, according to the rights activist, the new regulation is a manifestation of humanism towards a large number of de jure innocent persons. 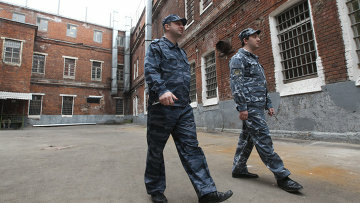 Besides, according to Petryakov, a certain alleviation of the situation in the presently overcrowded Moscow remand prisons is to be expected, what will help lawyers to visit their clients. The expert believes that the effect of the new law will be clearly seen by the end of the year. Stalina Gurevich, a lawyer, was very positive about the law. She reminded that earlier the time required to review restraint measures with regard to severely ill defendants had not been regulated at all. According to Gurevich, it is no secret that consequences could be tragic for some persons, who had to wait for decisions too long. Therefore, the lawyer says, it is a very good initiative; however, she believes that the main thing is that the law worked and petitions were satisfied. In her turn, lawyer Lyudmila Aivar reminded that a special procedure of medical examination of severely ill persons is currently in place, which has been set by the Russian Government. Under the procedure, which does not allow medical certificates issued by third parties, medical examination is to be carried out within 5 days since the admittance date with the results to be further studied by a commission, which is entitled to prolong examination for up to 30 days, while the new law is applicable only since the date case materials are received by courts. According to the lawyer, there have been registered cases where apparently severely ill defendants were kept in custody for years, sometimes dying in detention due to the lack of adequate medical treatment in remand prisons. Stressing the need to care about lives and health of citizens, she positively evaluated the new law. Lawyer Sergey Polyakov says the new amendments are only a partial solution. According to him, judges, investigators, and inquiry officers will take respective decisions, but the time allowed to pretrial detention center officers to present medical assessment reports remines unregulated. He cited a case defended by a fellow lawyer, where the client suffering a serious illness was to be subjected to medical examination, but even after six months after the decision was taken, it has not been performed. It is necessary to set a term, within which medical examination is to be carried out, and define the period, within which administrations of pretrial detention centers are to present the results to courts, Polyakov insists. According to him, some time is needed to fully understand the implications of the new regulation. The lawyer says that the measure was well intended, but its enforcement still needs perfection. The Presidential amendments are “magnificent news” according to lawyer Oksana Mikhalina. It is a well-known fact, she says, that a great number of defendants now in detention suffer chronic illnesses, while the list of ailments precluding custody is limited. Earlier, investigators, not restrained by time, could release defendants at the last moment only, and decisions concerning review of restraint measures have been postponed in most of cases. The lawyer hailed the new regulation noting nevertheless that she wished the list of illnesses precluding detention was expanded, in particular as concerns diabetes.